It is often said that “the best things in life are free,” which is true about quality time with family and friends, that newborn baby smell, gorgeous Fall leaves and sunsets. Unfortunately, it is not true about many health-supporting things like water filters, organic mattresses, or supplements. 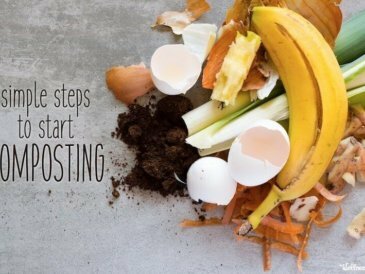 Of course, there are ways to save money while living a healthy lifestyle (like meal planning or making your own laundry soap and deodorant), but in general, a healthier lifestyle can be expensive sometimes. It can feel overwhelming, expensive and frustrating sometimes when there are health changes you want to make but they are out of your current budget. The great news is that even in this case, sometimes the best things (for your health) are free after all… most of us just tend to neglect them. There is so much health information available online, that sometimes it can be overwhelming to figure out where to start. 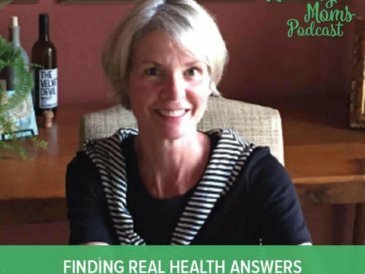 These easy steps to better health are simple switches you can make to boost health without turning your life upside down overnight! While the long term goal is lasting lifestyle changes, these small steps are a great start and will hopefully lead to more improvement! You don’t need a wave vibration plate, a float tank or an infrared sauna to be healthy. People have managed to achieve good health throughout history without any fancy contraptions or expensive supplements (though arguably, they also faced less stress, pollution, and processed food than we do today). In fact, if we just turn back to some of the basics that our grandparents instinctively knew, finding balance in health and wellness might not be as complicated as it seems. 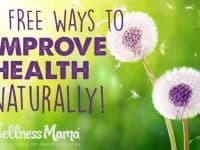 Even if you have absolutely no room in the budget for healthier food, supplements or things like salt lamps, I recommend prioritizing these seven free things to support your family’s health naturally! It is often assumed that it takes a major lifestyle change to see a noticeable difference in health and wellness. While a major change is often the best way to see improved health quickly, there are some minor and unusual health changes that can make a big impact! Even better, most of them are free or very inexpensive! Squat to Poo: Instead of a regular toilet, use a couple of buckets or a squatty potty to change your toilet posture. Seems like a simple change, but there is a lot of emerging evidence that toilet posture makes a big difference for digestion. This website further explains the most common problems with modern toilet posture and how squatting can help. Ditch the Soda: Instead of soda which is filled with artificial flavors and colors (and sweeteners), switch to naturally fermented drinks that provide the carbonation and mild sweetness with a boost of probiotics, beneficial enzymes and nutrients. Our favorites are water kefir soda, homemade ginger ale, kombucha soda, and beet kvass. Switch the Oils: Instead of rancid and chemically created vegetable oils like canola and soybean, start using coconut oil, which is packed with beneficial medium chain fatty acids and lauric acid (and which has hundreds of uses). Clean Up Your Water:Instead of BPA filled plastic water bottles of chlorinated and fluorinated water, make a small investment with a big health payoff- switch to a water filter that safely removes toxins and carry your water in a glass or steel water bottle. Optimize Your Sleep: Sleep is one of the most important things you can do for your health! I’d wager that at least a good part of our current obesity and disease epidemics could be directly or indirectly tied to not enough sleep or poor sleep habits. Make it a priority to get enough sleep nightly and get high quality sleep. 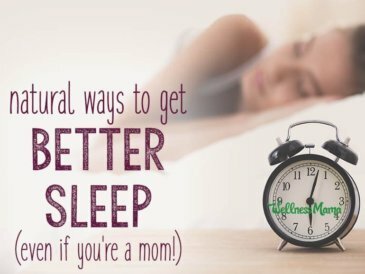 Here are some tips for optimizing sleep and for some people, using a homemade magnesium oil can also help improve sleep. We’ve all heard how important sleep is, but it turns out that it is likely even more important than we thought. I recently read the book Lights Out: Sleep, Sugar and Survival, which though poorly written in parts, has a lot of good information on the science behind the importance of sleep. It turns out that lack of sleep impacts your health (and your heart disease and cancer risk) just as much as a bad diet or constant exposure to toxins. Statistically, getting enough sleep is one thing that we (as a population) are notoriously terrible at doing. The good news is that getting enough sleep is a completely free way to boost health…we just have to make it a priority! Free Option: Just get some sleep! Here are some tips for improving sleep quality and getting to sleep more easily! Easy Option: Ok, so there isn’t really a way to get the benefits of sleep without actually sleeping, so check out these tips and get some ZZZZs! Sleep is important. Really important. Some experts claim that sleep may actually be the MOST important thing we can do for health. It also doesn’t cost a thing. Of course, there are times that getting quality sleep isn’t possible, like during the newborn months or if a child is ill, but making sleep a priority whenever possible is important for health in many ways. Lack of sleep has been linked to blood sugar imbalances, higher stress levels, obesity, mental problems, infertility and immune problems, as well as many other less serious issues. Like many things in life, understanding the importance of something is only the first step of actually making a change. Just knowing that sleep is important doesn’t make it any easier to actually get to bed at an earlier hour. Remind yourself: Instead of a wake-up alarm, consider setting a bedtime alarm. Set your phone or alarm clock for 30 minutes before the time you need to be asleep and when it goes off, stop doing what you are doing and get ready for bed. Avoid the blue: Use a free program like f.lux to reduce blue light on your computer after dark, as blue light can interfere with proper sleep hormone production. This is the reason I wear ridiculous looking orange sunglasses that block blue light at night, and why my children don’t have a nightlight. Put your feet up and breathe: Two of the most effective ways I’ve found to help fall asleep and stay asleep are completely free. Read the full details of both in this post– one is a simple 4-7-8 breathing pattern of breathing in for a count of 4, holding for a count of 7 and exhaling for a count of 8. The other is laying on the back and elevating the feet at 90 degrees for 15 minutes before bed. Create a comfortable environment: Create a sleep environment that you love and use it only for sleep. Don’t work or watch TV in your bedroom if you can avoid it. I found that covering our windows to block outside light helped me sleep, as did using a sleep app called Sleep Genius. 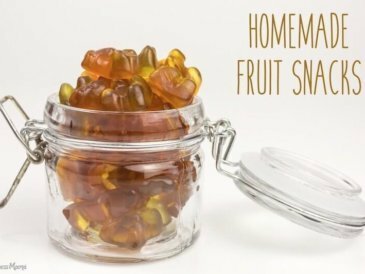 Make some Gummies: If you already have the ingredients on hand, these homemade gummies can help kids (and adults) sleep through the night. 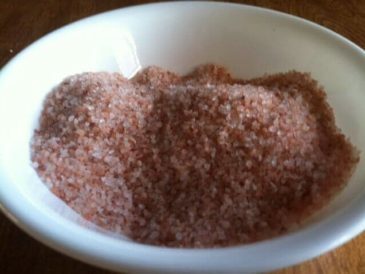 A mixture of 1/2 teaspoon honey and 1/4 teaspoon of sea salt can also help. Research shows that we are under more stress than ever before. We have busy schedules, constant input from social and other media and more financial and health struggles than ever before. Statistically, this is negatively impacting our health, as recent surveys showed that less than 40% of us would rate our health as “good or great” and a majority of people listed health problems as stressors. Mediation doesn’t have to be structured, difficult or guided. It can be as simple as calm, focused breathing for a short time each day. In fact, my favorite way to calm the mind is with something called box breathing. The basic idea is to think of breathing as a box pattern. I inhale for a four count, hold for four, exhale for a four count and hold for four. 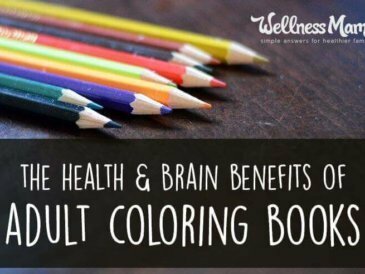 Draw or color… While these are often relegated to the realm of childhood, things like adult coloring have gained popularity lately for their stress relief benefits. (There are even whole coloring books dedicated to stress relief for adults!) Ever resorted to doodling or coloring on a notepad in a meeting or stressful time? This is because it helps relax the mind. If you’re a mom, you probably have coloring books already laying around but you can also print some at no cost here. Even more simple? Just grab a black pen and start drawing on a piece of paper for a few minutes a day. Nature has so many benefits, and just going outside for a few minutes a day can be great for your health. In fact, Dr. Alan Christianson (who specializes in thyroid and hormone health) explains that just 20-30 minutes of outside time shortly after waking up can help balance circadian rhythms and improve cortisol levels. His advice? Go outside for 30 minutes within an hour of waking, if possible. Bonus points if you do this after getting enough sleep and while calming your mind or meditating! Your body uses cortisol to rescue you from low blood sugar. This makes carbs a tool you can use to help regulate your cortisol. 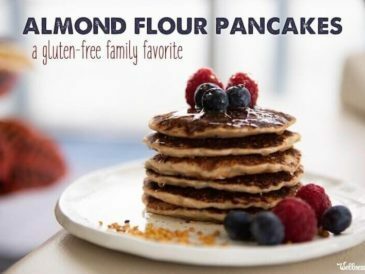 Start your day with 25-35 grams of protein and finish it with 20-50 grams of high-quality carbs. Great options include paleo-friendly sources like sweet potatoes, turnips, squash, beets, and rutabagas. Having them later in the day helps not only cortisol but a whole host of weight regulating hormones like leptin, ghrelin, and adiponectin. So water isn’t completely free, but if you live in the developed world and are reading this from a computer, you probably have access to an unlimited amount from your kitchen tap (and even have the luxury of being able to flush a few gallons down the toilet whenever you need to go). Surprisingly, even with such easy access, many of us also don’t drink nearly enough water. Even if the water contains chemicals from municipal water sources, it is important to get enough (though there are filters that remove most chemicals easily). One easy way I make sure I get enough water is to start the day with a big glass of fresh lemon water. This helps the body hydrate at the beginning of the way, but has also been great for my digestion and skin! I also keep a mason jar of water or a water bottle with me throughout the day to remind me to drink and try to limit beverages like coffee or alcohol that don’t help hydration. It is easy to fall into the trap of thinking “if only I _____ I’d be happy,” but it turns out that the reverse is true. Rather than achievement or material things fueling happiness, having a positive outlook and being grateful can work to improve your health. 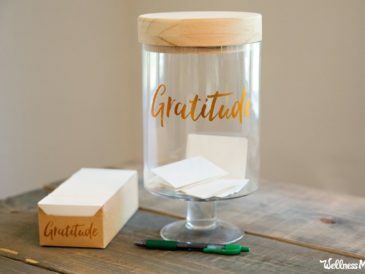 Experts recommend starting a gratitude journal of a few things you are grateful for each day as a way to train the mind to focus on the positive. As a bonus, this can also help reduce stress (#1) and calm the mind (#2). 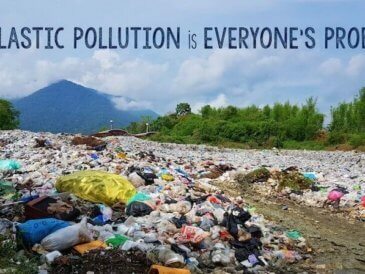 It’s inconvenient to think about, but plastic is one of the biggest problems facing our planet and our health. Avoiding it doesn’t have to be expensive or difficult though. 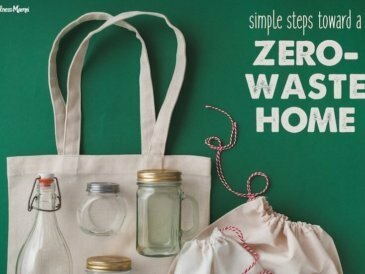 In fact, avoiding plastic has actually saved our family money as I now store food without plastic, use a plastic-free reusable water bottle, and reusable natural feminine products to avoid plastic exposure. 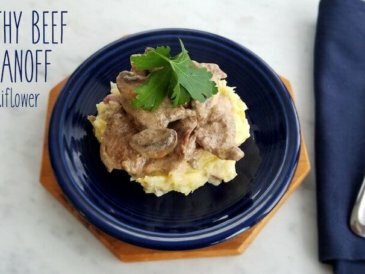 Even when we were on a very tight budget, I found some quart size mason jars and glass plates/storage containers at a thrift store for food storage and eating and we were able to avoid plastic… and since glass lasts forever (or until a child breaks it! ), we still have and use many of those pieces. Sure, you could sign up for a gym membership that you probably won’t use (statistically- that is why they lock you into a contract), but you can also get exercise for free at home with less effort and in less time. As a bonus, you’ll avoid sweaty equipment that dozens of other people have touched, antibacterial spray that can mess up your gut bacteria and stressful news headlines while you Elliptical your way to health. There are structured programs that you can do at home, but there are even simpler workouts that you can do in your backyard and most of these exercises are safe and recommended even during pregnancy. Bonus points if you get your family involved and spend some quality time with your children while you get some exercise. I’m glad to see that there is increasing awareness about the importance of Vitamin D in the news lately. I’ve written before about the importance of Vitamin D and how Vitamin D levels impact everything from oral health to sun tolerance. I personally prefer to get Vitamin D from sun exposure whenever possible, but there are also some high quality supplements that are helpful in winter or when sun exposure is not an option. Overall, optimizing Vitamin D levels is one very small change that has a tremendous impact! 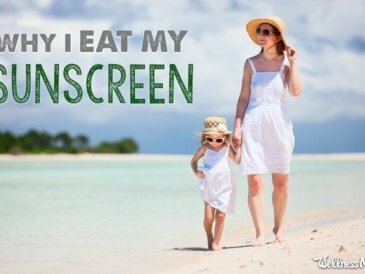 Free Option: Get healthy sun exposure to boost Vitamin D levels naturally. 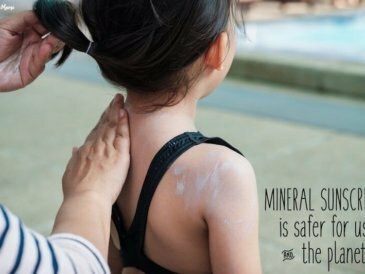 Easy Option: If sun exposure isn’t an option, it is possible to optimize levels and protect skin from the sun with certain supplements. I first encountered the idea of “Grounding” or “Earthing” when I read the book Earthing: The Most Important Health Discovery Ever. The basic theory is that out bodies need to come in direct contact with the grounding force of the earth on a regular basis to reduce the positive charge that can build up in our bodies. Our bodies and cells have electrical energy, and especially with the high prevalence of Electromagnetic waves, Wi-Fi and mobile phone waves, many of us have a high amount of positive charge built up in our bodies and need to be “grounded” to diffuse this. In modern society many of use rarely (or never) come in direct contact with the earth and the book explains how this can contribute to many health problems. The good news is that it’s an easy fix! Free Option: Spend some time outside barefoot in direct contact with the dirt. Easy Option: Get an earthing mat to sleep on. 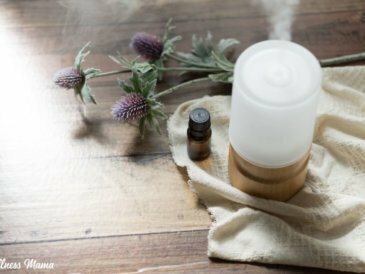 It provides the grounding force so you can reduce inflammation and boost health while you sleep! 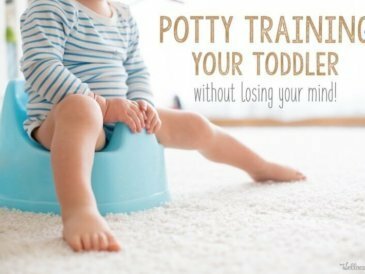 Yes, I just used the word potty… I have toddlers! Turns out that another thing we got wrong in modern society is the way we use the restroom. Speaking of toddlers, they give a good clue of the correct way to use the loo: in a natural squatting position. Experts point out that the squatting position is more natural and can help avoid colon disease, constipation, hemorrhoids, pelvic floor issues and similar ailments. This post explains a lot more of the science behind using the squatting position. Free Option: Squat on the toilet seat or put a stool, box or a couple of upside-down buckets under your toilet to rest your feet on while using the restroom. Easy Option: A Squatty Potty is an easier (and more attractive) option for adopting a squatting position without attempting a balancing act on the toilet seat! Hippocrates was once quoted for saying “all disease begins in the gut.” Time is proving Hippocrates to be a pretty smart guy, and science is even now linking poor gut health with a myriad of health problems. From eczema to poor immune health, it seems that our gut health influences much more than we previously realized. If all disease beings in the health, it is logical to realize that perhaps optimal health begins here as well. Overall, there are ten times the number of bacteria in the body as actual human cells, and this colonization of bacteria (good or bad) can weight up to three pounds. With such a large concentration of bacteria in our bodies, it is logical that we depend rather heavily on them for health. I make it a priority to do as many things as possible to improve gut health on a daily basis, but even small changes can make a big difference in this area! 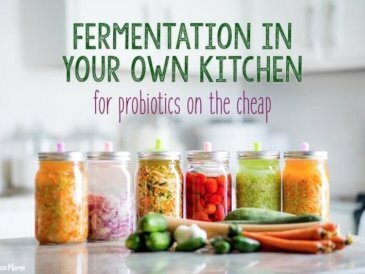 Free Option: Make some fermented foods (you have to eat anyway…) or drinks like Kombucha and water kefir. Many of us consume plenty of food but not enough actual nutrients! Statistically, many of our diets are made up of processed foods and chemical ingredients and they lack the important mineral rich and living foods that were once an integral part of any diet. Diet is key, and while some supplements may help, they won’t be effective without a solid diet, since you can’t out supplement a poor diet! My suggestion is to focus on consuming extremely nutrient dense foods daily, rather than trying to “diet” which brings thoughts of deprivation. From experience, I can say that when I consume bone broth, grass fed meats, healthy fats like butter and coconut oil, raw milk and fermented vegetables each day, I am never hungry for (or crave) unhealthy foods. 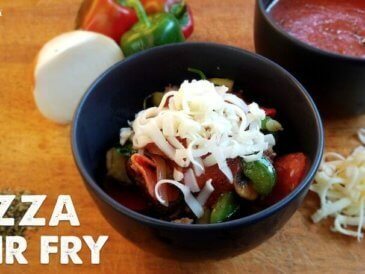 Free Option: We all have to eat anyway, so just choose more nutrient dense foods like inexpensive homemade bone broth, soups, high quality meats, fermented vegetables (inexpensive and easy to make!) and other healthy foods. Easy Option: Once we’re consuming high nutrient foods, certain supplements can complement a healthy diet and help the body operate optimally. Did you know that oral health directly impacts the entire body and problems in the mouth can lead to compromised health? Free Option: Eat a diet that supports oral health (you have to eat anyway). Easy Option: Check out my oral health resources page for some easy options to help boost your oral health. 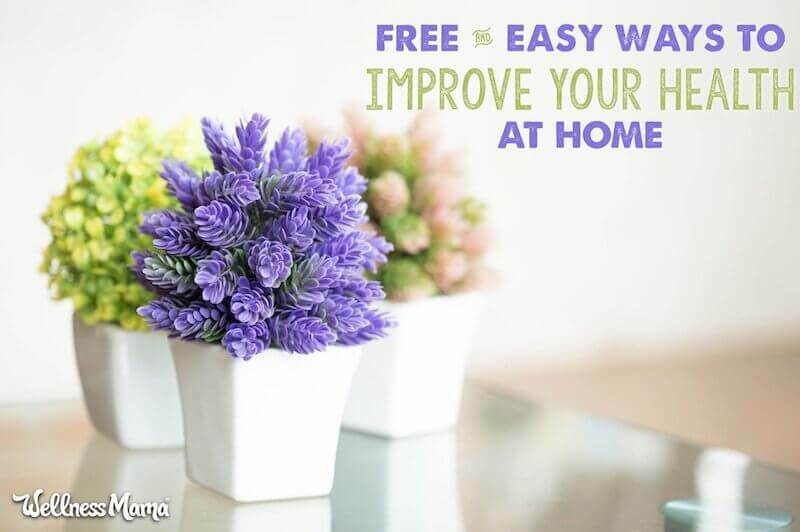 Healthy living doesn’t have to be expensive, and while it can be easy to get caught up in complex or expensive methods of improving health, sometimes the most effective ones are the easiest ones to implement, and cost the least! Even if you are focusing on more advanced techniques or working to overcome a specific health challenge, don’t neglect these important aspects of health that you can do daily. Be honest, how many of these items do you do daily? What has made the biggest impact on your health? What would you recommend to improve your family’s health? Share below!